The UK throws a horrifying 7 million tonnes of food waste into landfill every year and the worst part is, most of this ‘waste‘ is perfectly edible. I often feel this is a result of societal norms; our grandparents grew up in the time of the war and subsequently had to deal with food rationing. Due to the short supply, produce was extremely valuable and wasting it was simply not an option. Fast forward to 2017 and the sheer amount available to us is unbelievable. Everyone leads busy lives and convenience often trumps the preparation needed in order not to chuck stuff out. I went vegan mainly for the environment; I knew I didn’t want to be part of the drastic effect the meat industry has on the Earth’s climate. But here I am, tossing food into black bin bags because I simply didn’t bother to prepare the groceries I purchased. This is something I have to change. 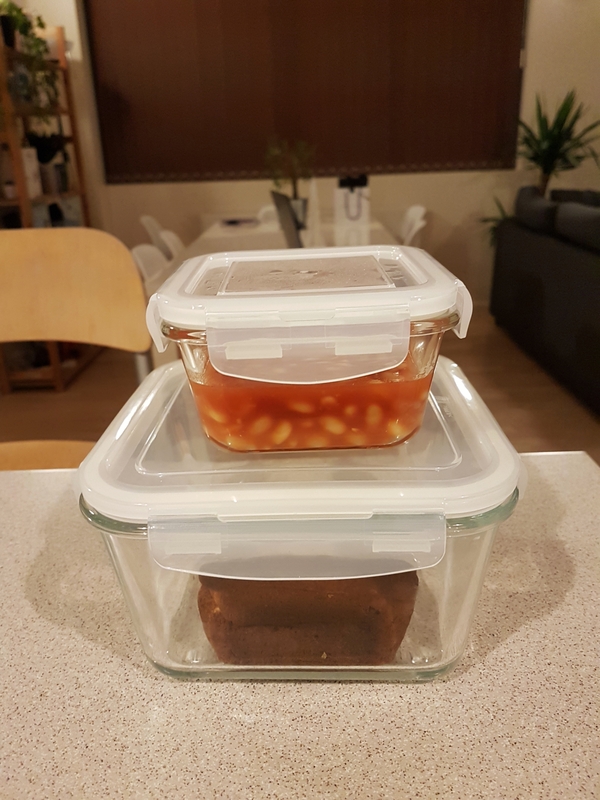 And so we’ve arrived at my New Year’s Resolution… Reduce my food waste to a minimum. 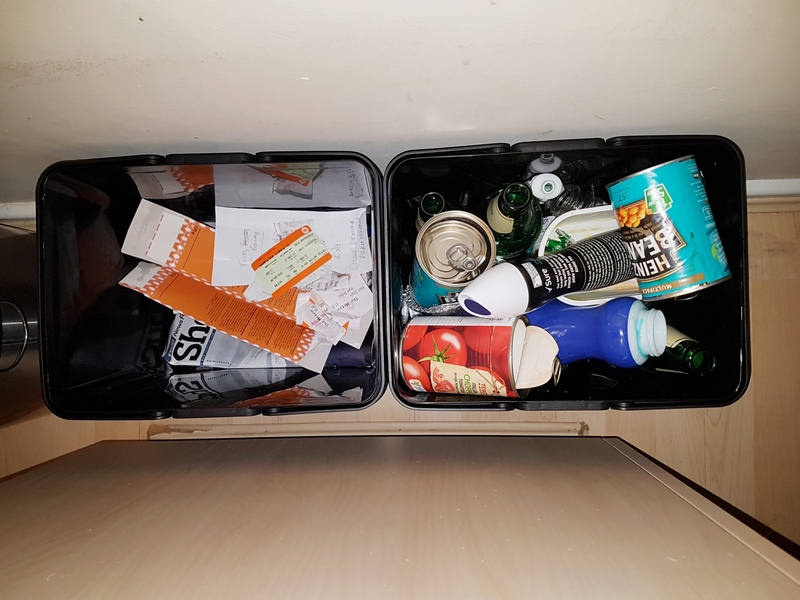 Having recently moved from London where we had a designated food bin, I’ve really noticed how much is now going straight to landfill. We live in a flat on the third floor, so composting is unfortunately out of the question. Meeting Izzy, our Live Lagom Project Leader at IKEA, for our personal shop was a real eye opener to the products we could be utilising. 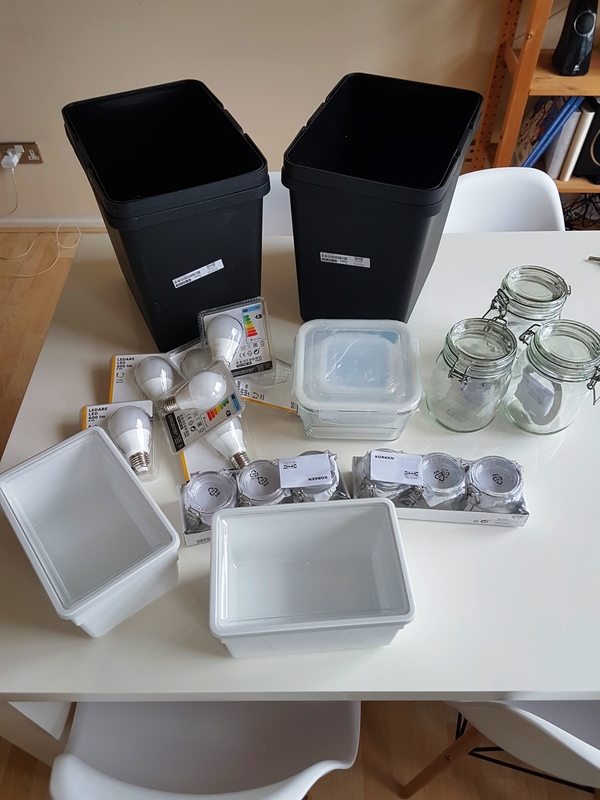 With the £100 we were given, we were able to buy a range of products to help us meet our goal including a selection of korken jars, förtrolig food containers, tillsluta dry food jars and variera waste sorting bins. Now we’ll be able to easily see what food we have in our cupboards and store things appropriately to maintain their freshness. Other items we chose include LED light bulbs to reduce energy use and a bekväm step stool to help reach those high shelves (not pictured). Bulk cooking is great in every sense. You use up everything fresh right away to reduce the possibility of any waste and then you have a million meals ready to eat in the freezer. All you need to do is get out your chosen meal in the morning and voilà! This is something I’ve started doing and I absolutely love it. I can see it’s already reduced some of our food waste – we’re finally using all the carrots in a bag! Planning is key with bulk cooking, but the results are very much worth it. 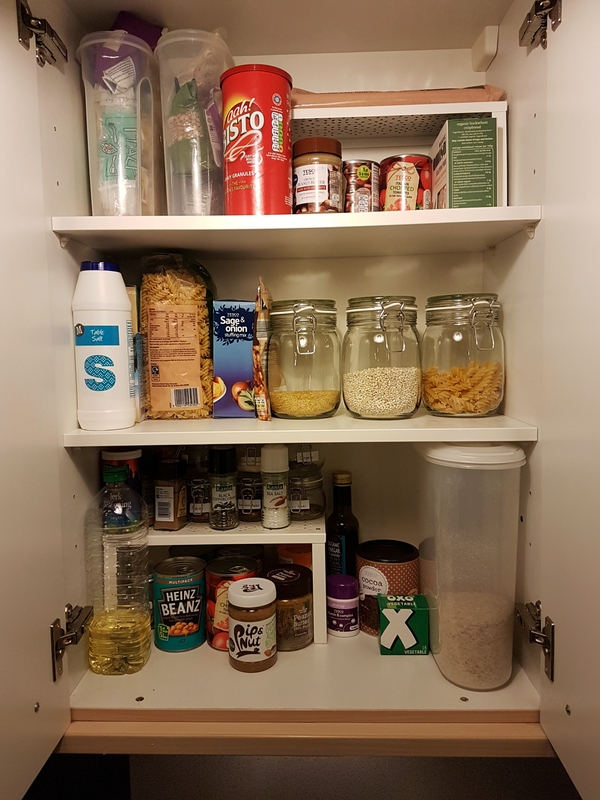 Over the next six months of the IKEA Live Lagom Project, I really hope we do reduce our overall food waste. Sometimes I felt like because I was vegan I was doing my bit for the environment, but in reality there is always more to be done. So watch this space, I’ll be bulk cooking my way into 2018 and I hope to inspire some of you along the way!